Gah! Super happy with this!! Even attached it to my cupboard to see when I’m in bed. 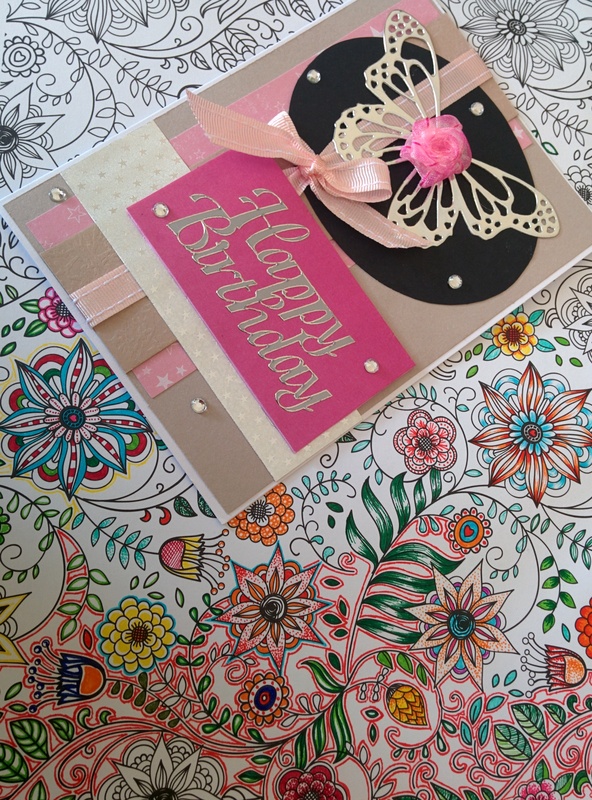 I love this butterfly die so much (it’s to die for. Eh heh heh.) I originally wanted a butterfly die when I saw this technique of paper piecing on a YouTube video. The lady had a much less intricate die but I loved the look. I didn’t think I’d have the patience for doing this, but I persevered and anlm impressed with the results. Today after our inspection was over, the craft ban was lifted and my creativity exploded. I began with watercolouring. I coloured heaps of pages with a mix of the three watercolours I have that actually work. I did some embossing with my big shot and hoped the watercolours would pool in the debossed areas, which they did, until it dried. Bit sucky but I can add layers and some worked better than others. 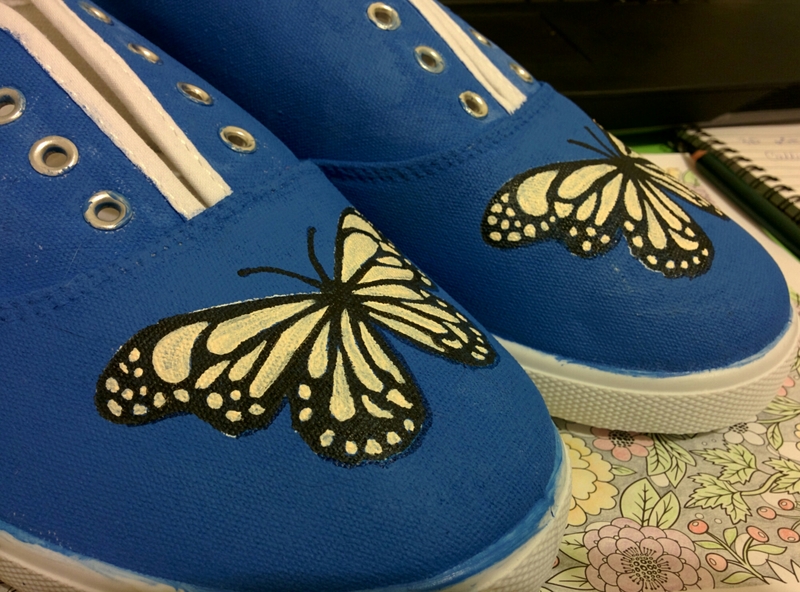 After I left them to dry for a few hours, I came back and die cut a butterfly out of some the blue watercoloured paper. I was careful in trying not to lose any pieces, but I did lose one piece (50 points if you figure out which one.) Then I die cut a black butterfly. I should have done the black first, so I could keep the blue pieces there until I needed them. 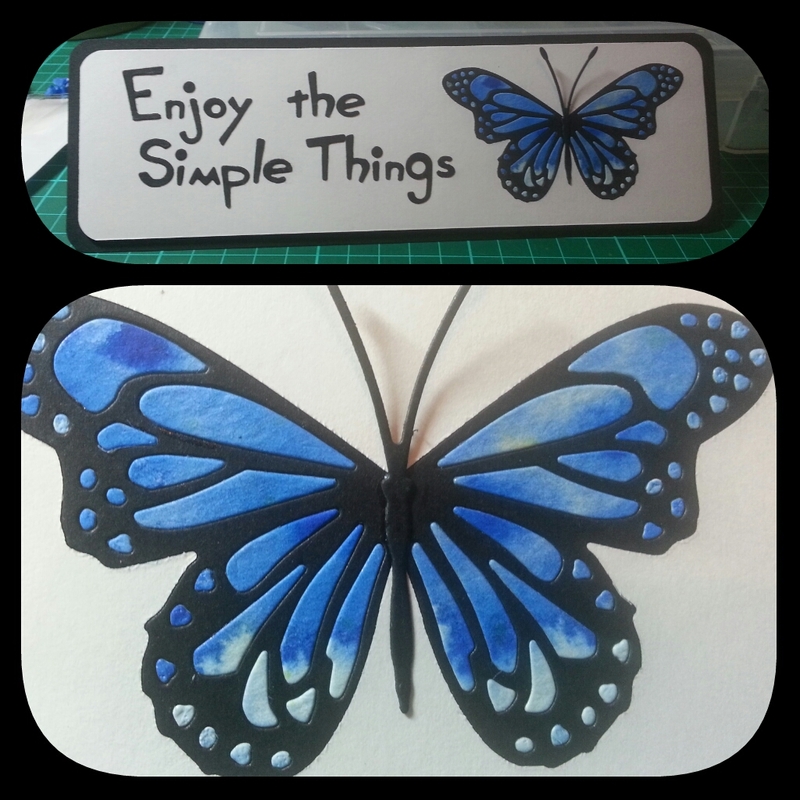 I cut a piece of black card and covered it with tape runner, before placing the black butterfly and all his blue pieces into the holes. All this was made up as I went, so I thought at this point that I’d put it on a card. 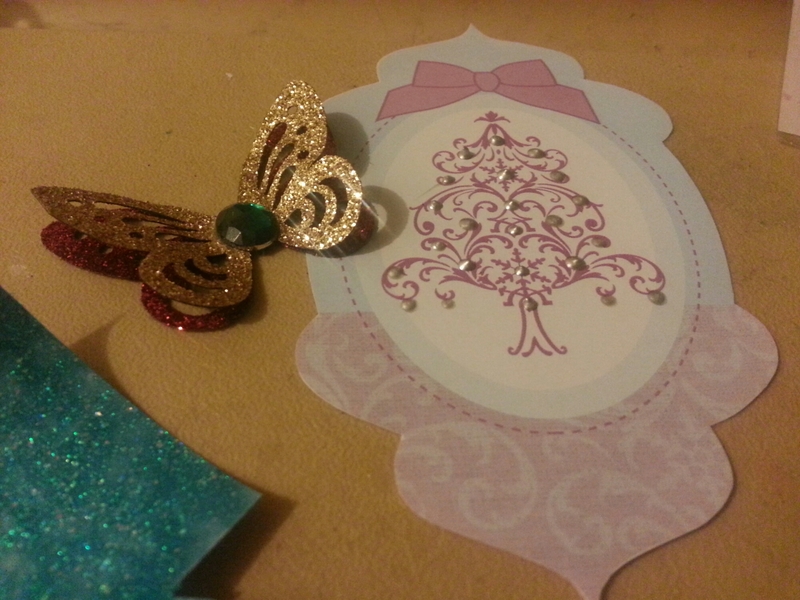 I cut a strip of white card and cut out the butterfly again. I was going to trim it to a snug rectangle, but I decided it looked like a bookmark. So I put the butterfly in his white surroundings and decided all bookmarks need a quote. I looked up short quotes that would fit, and found one I’d saved. I thought the quote was fitting for me and my partner, as a reminder. So I got to work die cutting letters. I stuck them down, rounded corners. Cut a back panel and matted it with foam squares. I not only came out of today with an awesome inspirational art piece, but figured out something useful. I don’t have one of those quick sticks, where you can pick up all the tiny things, nor could I find one in stores. If you roll up blue tack (which I also use as a kneadable eraser) you can form it to a point and pick up the tiniest pieces, I also used it to hold the letters while I applied glue. So now I don’t have to spend money on a tool I don’t need. Yay! Playing around after finishing an assignment. 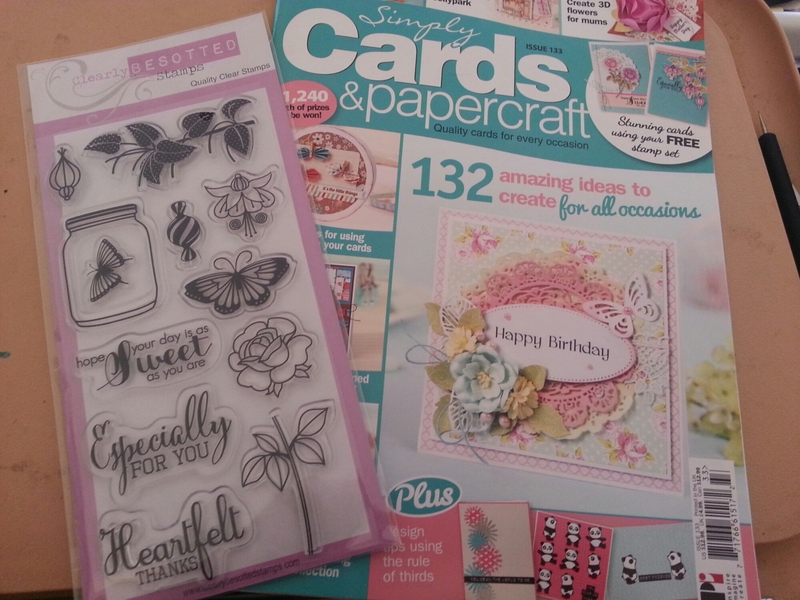 It’s nice to not have guilt that you should be doing something else while crafting. Mind you my house is a mess and I need to sort out my craft room, but other than that guilt free until tomorrow when I start my next assignment. 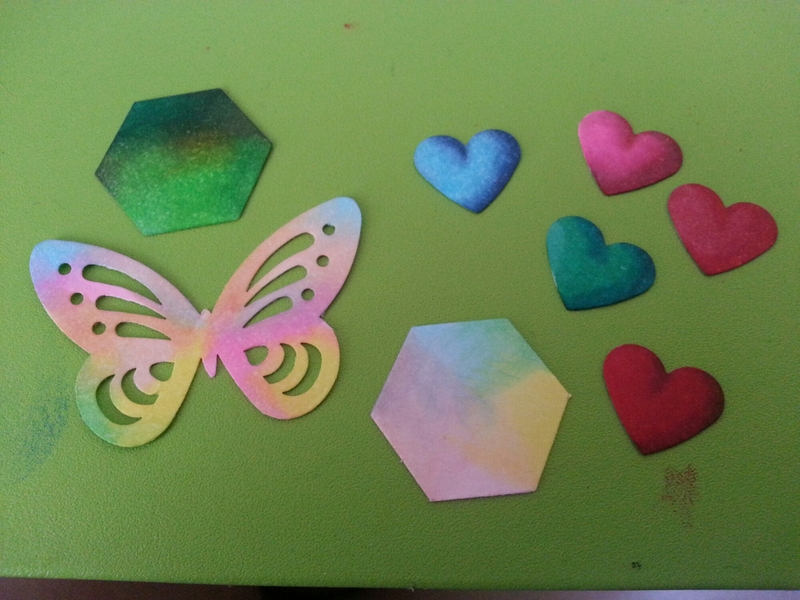 I brought some coloured card yesterday in pastel colours to make card bases, as well as other projects, so I cut and folded each colour into cards. I decided as I was doing this that I didn’t like the look. It was very primary school. But I still went ahead and tried some techniques. In the end I didn’t mind the green butterfly one. Something isn’t right with the valentine’s one. I stamped the edge border but missed too much of the bottom and there’s a space just under the sentiment that bothers me. I put the red bow hoping it would draw your attention upwards but I still think it’s noticable. 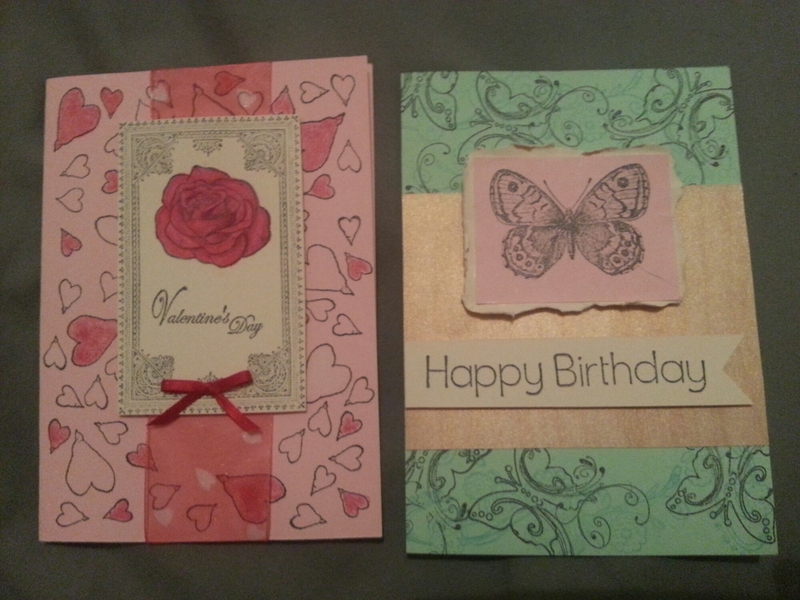 I have so much trouble making cards if I don’t know who they’re for, or making them to think about selling. Perhaps I should get stock images of random people and make up stories. Like ” this is Margery. She’s turning 85. She likes flowers, tea parties and heavy metal.” It might help. You never know what people want to buy. Maybe pick a random theme, colour and occasion and make it work. Even if I don’t like the cards I make, I still learnt from them and can use and build on those skills. It’s all creativity to me.